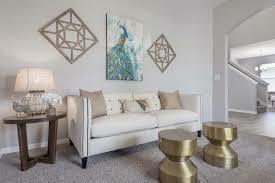 So what are you to do when staging your home?? A little background on me before I weigh in on the debate. I come from a small town in the Napa Valley where I sold real estate for several years. Now I stage homes in the Biggest Little City in the World – Reno NV. Both towns have a population that have lived here for many generations and people know each other & each other’s families. Even though Reno is growing, there is a local saying that everyone is only 2 degrees of separation from each other. Because of that small community environment – I advise all of my clients to take the photos DOWN. People in communities where they know each other stop & look at the photos. When you are trying to sell your home, you want people to focus on the house – not the photos. You want people to see themselves in the house ~ not feel they are moving into the Smith’s house. In my time as a realtor, I had buyers who were so engrossed in the family photos of one home (their daughter had dated the homeowners son back in High School), that we didn’t even get to see the entire house because we had to move on to our next appointment to see another house! When staging your home, your goal is to make potential buyers feel that they can see themselves in it. Think of model homes, they are nicely decorated, but impersonal. They are set up to make anyone feel they could see themselves living there. That is what staging your home should be like. Now, I know that most people are proud of their homes and want people to “like what they’ve done with the place”. The difficult thing for sellers to realize is that this home they are trying to sell is now a house – a commodity that is their investment. It is not always an easy transition for sellers to make. I find that many homeowners see listing their home as a way to showcase their home – which is half right. It is a chance to showcase your house to buyers, it is not the time to show off to your neighbors and others how great a decorator you are. Ouch! I know… you have spent time and money making your house an extension of you and your family. You have your family portraits going up the stairs, you have entire bookcases showing off family vacations, you have memorabilia from those excursions placed strategically throughout the house. And now your stager comes through and says it all has to be packed away. Why? Very simply, the goal is to show off your house – not you and your family. Your time to show off is when you get to your next house and get to decorate it very beautifully for all your friends and family. So, the verdict – Remove Family Photos or Not?